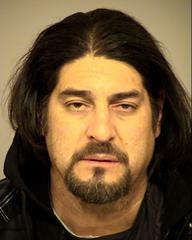 On February 1, 2019, Detectives from the Ventura County Sheriff’s Office East County Street Narcotics Team concluded a narcotics sales investigation into Robert Cano of Chatsworth, who was involved in the sales of narcotics to residents of Ventura County. Following Cano’s arrest, Narcotics Detectives executed a search warrant at Cano’s residence located in the 9600 Block of Mason Avenue in Chatsworth. Detectives located additional methamphetamine and paraphernalia indicative of narcotics sales. In all, detectives seized 84 grams of methamphetamine packaged for sales. 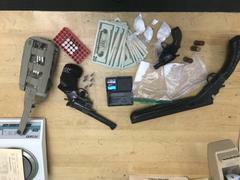 Detectives also seized a modified sawed off shotgun, two revolvers and ammunition. None of the firearms were registered to Cano. Cano’s past felony convictions prohibit him from owning and or possessing any firearms or ammunition. Cano was subsequently booked at the Pre-Trial Detention Facility for narcotics and firearms related offenses.